Rufford Recruitment provides potential clients and candidates with temporary, contract and permanent recruitment for a range of business sectors. 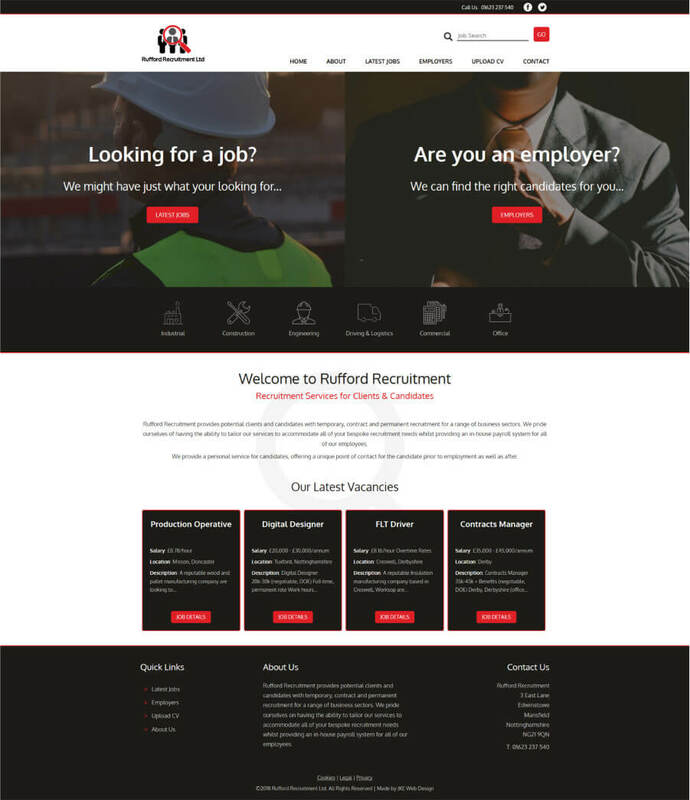 Rufford Recruitment were looking to replace their existing website with a new solution that gave them a better professional web presence and allowed them to easily add and manage jobs. Using their existing logo and after sitting with them to understand what they were looking for we set to work creating a new website. 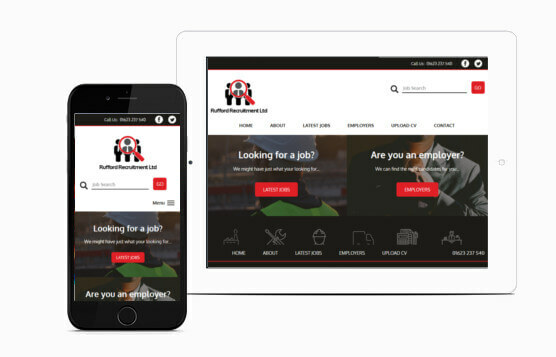 The new design provides an attractive, functional website allowing visitors to quickly find the jobs that they are looking for. At the same time it has an easy to use backend system complete with a written guide that allows Rufford Recruitment to make all there own updates. As with all our websites it passes mobile tests and has great page speed to ensure mobile visitors do not turn away before even viewing the page. With the popularity of mobile devices increasing it is essential to have a responsive website to ensure your pages can be seen and used easily on all screen sizes. Ease of use makes your visitors want to stay on your pages and find out more. All our websites are delivered with responsive code to adapt to mobile and tablet screens as standard and for no extra cost.